Free yoga online this morning at 6am CST and 9am CST. We have teamed up with YogaBuzz.org to offer free yoga classes on PharcydeTV East on Wed at 7am EST and PharcydeTV at 7am PST each week. half hour,all levels yoga practice with Jamie Austin (@lovelifeandliveyoga) EP.3. 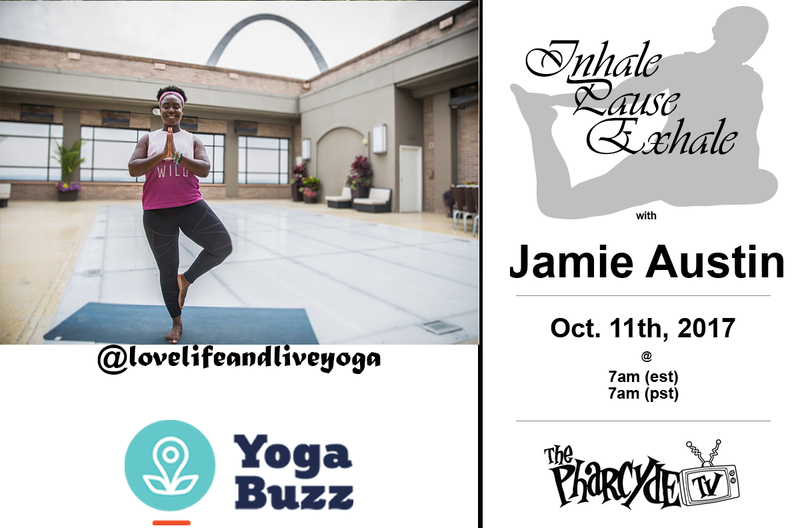 If you reside in the St. Louis, MO area or passing thru you can catch Jamie every Tuesday and Thursday at 6pm, at Mindful Movememts Studio..